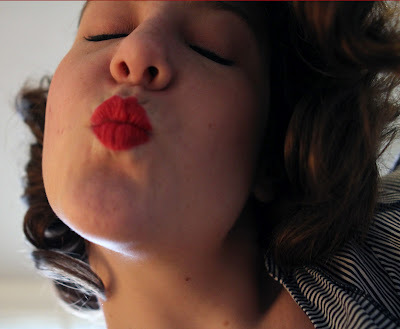 Before I contemplate any more on short hair, I want to play around more with my hair at its current length. The first photo is what it looked like when I left for work Friday, the second is when I brushed it after coming home. But this is merely the beginning of the hair experimenting. I want to some other sponge roller combinations (these were the biggest ones on the top two layers and the next biggest on the bottom) and pillow rollers. I also bought 1/2 inch "super rollers" to test out and MIGHT even give pin curls a try. Should I cut my hair short for summer? As summer is right around the corner (or so I hope! ), I am once again asking myself the age-old-question: should I cut my hair for the summer? As someone who used to have short hair all year round I am not used to the hassle of long hair (Yes, I consider my hair long). I've been collecting photos on Pinterest of cute vinage short hairstyles. While I don't think I would get anything shorter than my ears cut off, it is nice to look at all the possibilities. 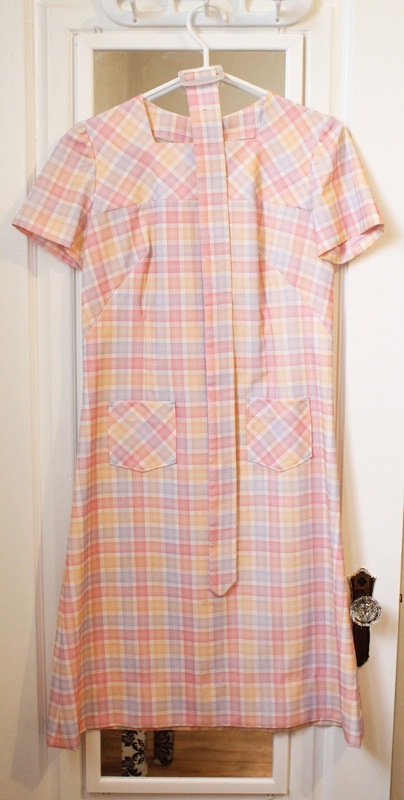 (By the way, if you are a vintage lover and haven't yet discovered Chronically Vintage's Pinterest, you need to remedy that immediately. It is AH-MAZING. There's not even words to describe how wonderful it is, you just need to see it for yourself. Every vintage photo imaginable is on there, I'm sure). These are all from my Pinterest so they can all be linked back to the original source. So the first one isn't short, but it is a hair move I'm considering. While I don't know if I'd go for Candice deVille's blonde streak (I don't want to do the whole bleach thing) maybe I could pull off a red. I've already waxed poetic about Audrey Horne in the past, but here she is again! Or maybe I should add some bangs? Ashley of Lisa Freemont Street did some great tutorials when she had a shortish bob. Then there's really short like Audrey. 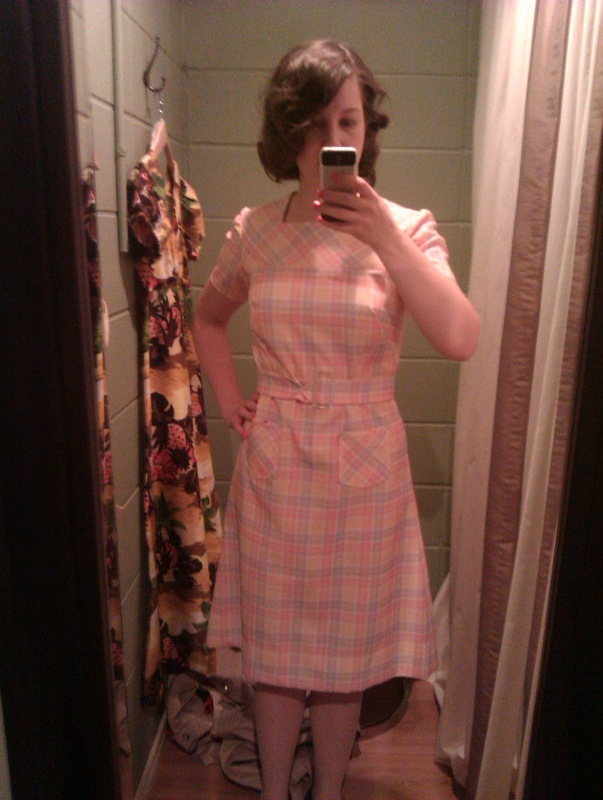 There's also this classic 1950s style. Well, what do you think? Should I go for the cut or keep it long? I plan on experimenting with my hair for the next little while and posting my results - success or fail! Ever since moving to Edmonton, everyone I've met that has commented on my style has raved about Swish and told me to get there ASAP. Well today, I finally did. It's halfway between my house and my office (5 blocks either way), so there's really been no excuse. I wish I had pre-meditated my trip so I could have taken my camera for some photos. You'll just have to check out the Facebook page instead. Being as it's downtown near the city centre mall, I expected really high-end, minimalistic shop with little selection. But to my pleasant surprised, it's crammed full with goodies, from men and women's clothing, stockings, furniture, jewellery, hats, bags, books, sewing patterns.... I could go on! Being the budgeter that I am, I drooled over many of the regularly priced items (Ranging from $30 - $100+) and happily browsed the small clearance rack. I ended up picking up two dresses for $15 each. I was trepidatious about the first one I tried on because I'm not typically a fan of long dresses, but it won me over. I love love love the print! 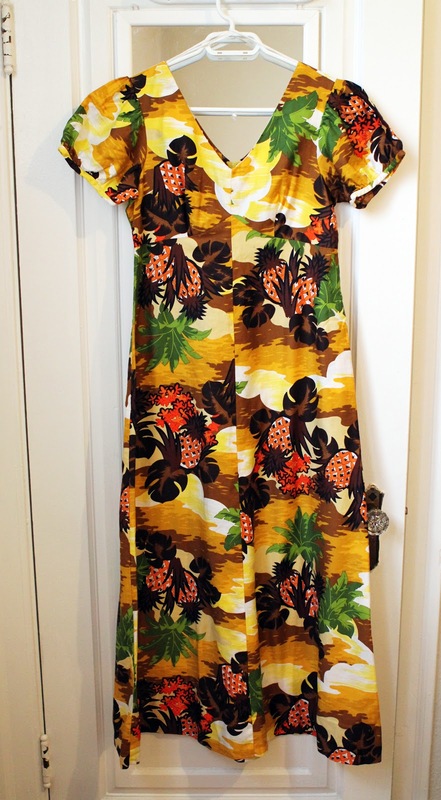 I already know the accessories for this: my orange wedges and my wicker bag; maybe my big floppy hat but I'm afraid that might take it more 70s than 40s. 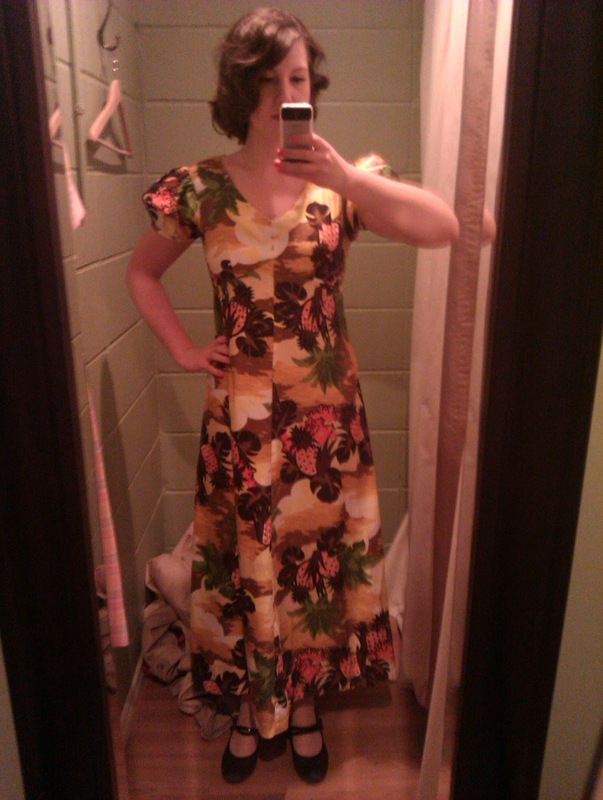 Now I just need to be in the tropics. This second one is a little heavier but will be great for work. Sorry for the cell phone photos, but I was texting Miss Bee to ask her opinion. Then I came home to relax. Since moving to the city G and I have had more opportunities to branch out a be busy, but it also means that sometimes we don't spend much time together outside of sleeping. So tonight we're having a date night and being our silly selves at home. And possibly plotting murder against the guy who has been blowing an air horn in the vicinity of our apartment for the last three hours. 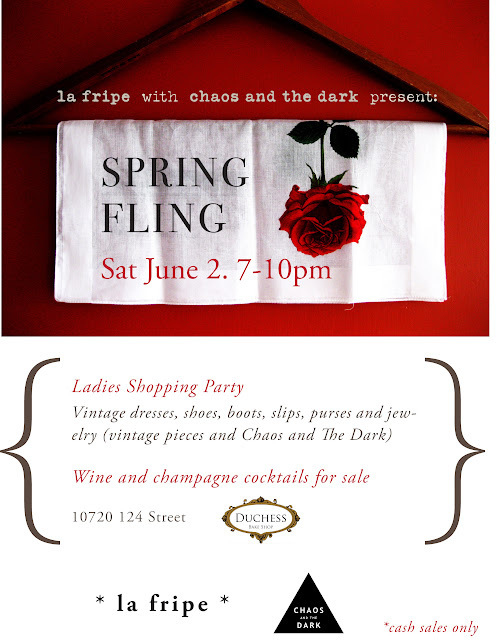 When I spotted the event for Spring Fling on Facebook, I knew I had to get in touch with the organizers to learn more about the pop-up boutique that will be happening one night only June 2. It all starts at 7 p.m. at the Duchess Bake Shop on 124 Street and 107 Avenue. Sarah (Ares) and I are both vintage collecters. We have an eye for vintage, and have recongized that there aren't a lot of places for Edmontonians to purchase curated vintage pieces. Sarah sells on etsy, and I at the Old Strathcona Antique Mall. We started our first pop up venture in March and it was a great success. On the backs of the success of our first pop up, we decided to keep the momentum up. This will be a smaller verison, and we just wanted to keep it simple: dresses! Sarah and I both work full time, so we won't be doing a larger one again till the fall, but Spring Fling seemed so perfect for the start of summer. As for expectations of the evening, it's going to a fun lil' party. Ladies can expect tons of vintage dresses (we currently have over 100 dresses selected), shoes and boots, vintage jewlery and purses, slips and my jewelry line, Chaos and the Dark. We will be having cocktails as well, as we want a party twist on it. I think, to be honest, Sarah and I were so floored with the support we received with the last pop up that we just want to say thank you so much to all of those who supported us. We're not quite ready for a larger scale pop up yet, so we just thought we'd throw this little party. Summer is dress time in edmonton! Bike riding and picnics and the spray park and adventues in the river valley! So much magic happens in these few glorious months. And we wanted to make sure that our lady friends are all ready for it! Ooowee, its been a while since I've posted about my knitting. Between the new job, the move and being back in a city where there's just so much to do I've been neglectful in this blog. One of those 'things to do' that I have discovered is a knitting group that meets at the Steeps teahouse on Whyte Ave. It's a very quick train ride and walk for me to go over there, and I always look forward to my Tuesday nights. I love knitting circles - even though I'm quiet around new people, I find knitting groups to be a great resource. We range in skill sets, so everyone can teach someone something! Since moving I have finished two projects and embarked on a third. 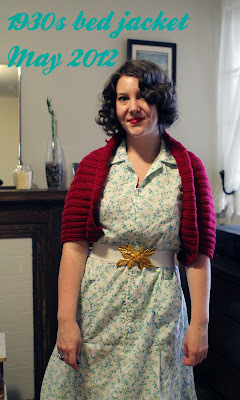 The first project that I completed was my first sweater - well, a 1930s bed jacket to be precise! I started it April 14 (while watching Titanic - it was a good progress tracker) and finished it last week. The pattern can be found on Black Dahlia's blog here. 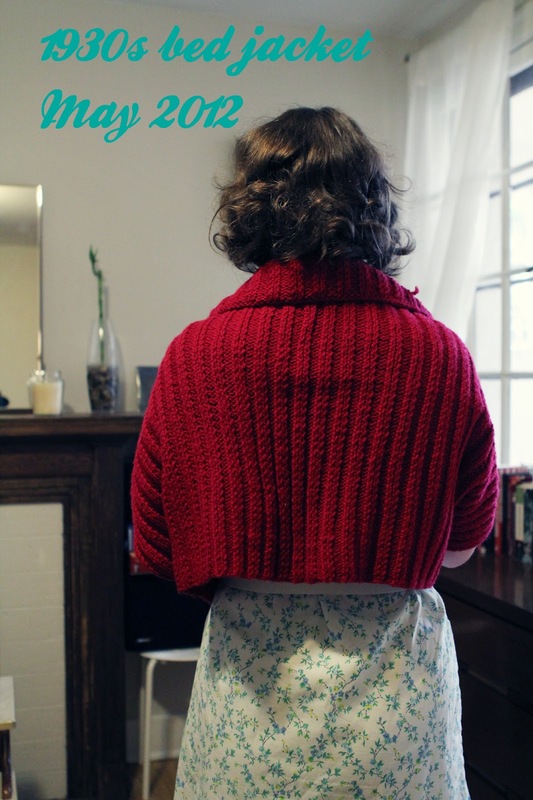 It's a super easy first garment, as you just knit up a big rectangle before folding it and stitching it up halfway. It's not as long in the back as it's supposed to be (I ran out of yarn and patience, because all you do is rib for 26 inches or so, it's a little repetitive) but it's cozy and slouchy. It now resides in my office to ward off the chills. 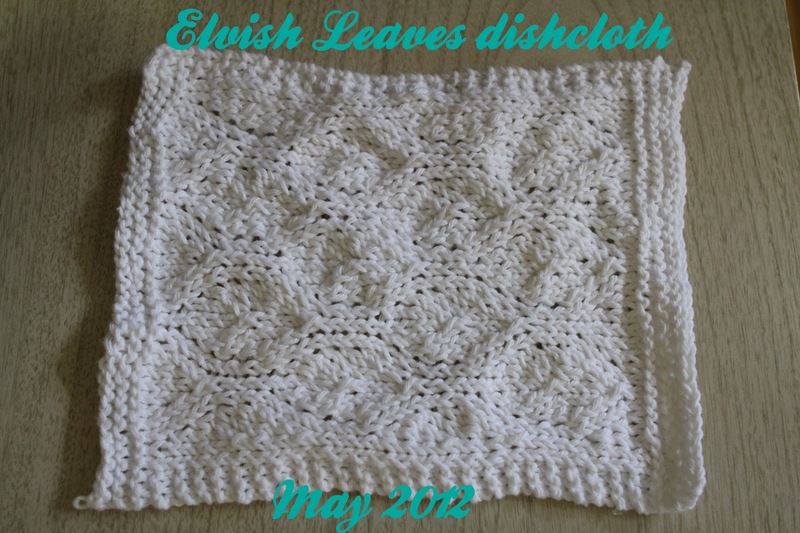 After that long and easy but a bit repetitive project, I challenged myself with the Elvish Leaves Dishcloth. I knit it in four hours on Mothers Day, sitting in the sun by the Legislature - a beauty of a day but I ended up with a nasty burn. The project includes lots of k2tog, yo and slip-knit-psso, but it's small enough that you don't get too confused. Plus, it's a dishcloth - no one will really notice if you screw up. 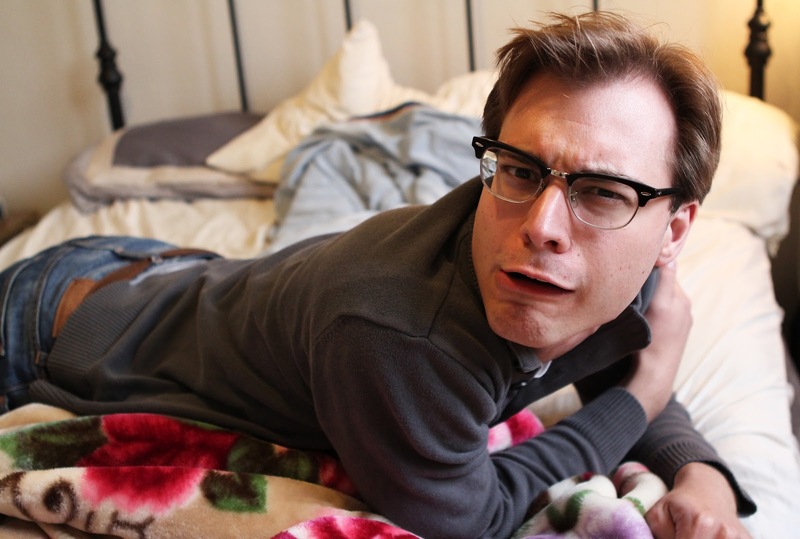 And now, I am embarking on the one, the only, three-hour sweater. I'm not too far into it yet, just swatching the hell out of it. I bought the KnitPicks Harmony Wood interchangeable needles (on sale for $75!) and 5 oz of Shine Worsted Yarn - a blend of cotton and beech wood fibre - in a bright yellow called dandelion. Seen here: my 3/4 swatches, my needles, my pattern and a sheet with my measurements and the math. Phewf! I have decided to add some new features to Retro-Reporter that I am very excited about (and I hope you are too!). First off, I've added a Alberta vintage directory, detailing several vintage Alberta-based business. The list is small now, but I hope to make it grow. If you have anything to add, please drop me a line at laurie@retro-reporter.com. The directory is a free service that I want to provide to help promote the vintage community in Alberta. We're small but mighty! The other component of the website I want to add, which is an event listing. It would have vintage or retro type events that are coming up for the month. I have yet to determine how to do this, so it's still forthcoming. I hope you like the changes, I'm excited for them! Hello dear readers. I am looking to get some blogging feedback so I know if you'd like more of something, less of other types of posts or if I should delve into totally new territory. Should I try my hand at tutorials? Would you like to see spotlights on vintage businesses and events? More scans of vintage magazines? Please, leave a comment on this post with any words or advice you may have for your friendly neighbourhood Retro Reporter!